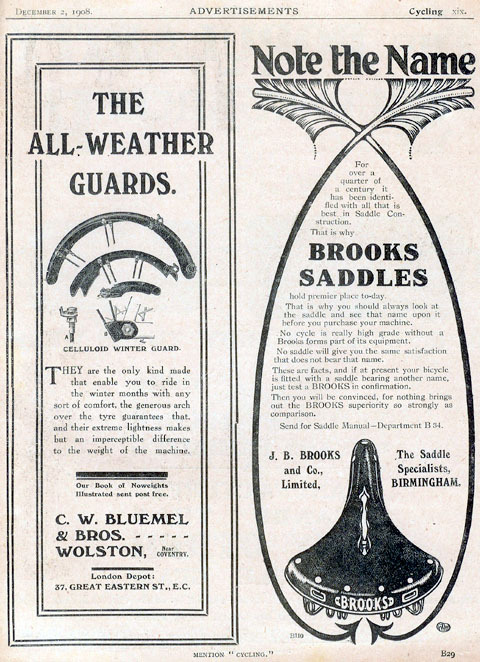 The Swift has a fine pedigree, as the company grew out of Coventry Machinists Ltd, one of the first, and largest British bicycle manufacturers. 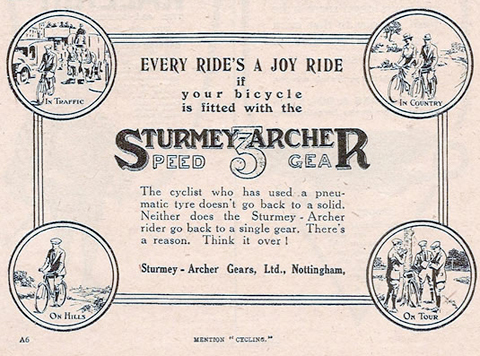 The name was changed to Swift Of Coventry in 1919. 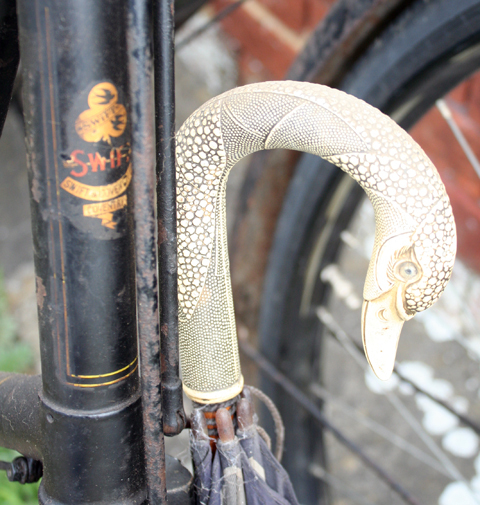 As this style of ladies bicycle is often referred to as a ‘swan neck’ I added a period swan-head ladies umbrella to her umbrella clip – which also ensured she’s definitely an ‘all-weather’ machine. 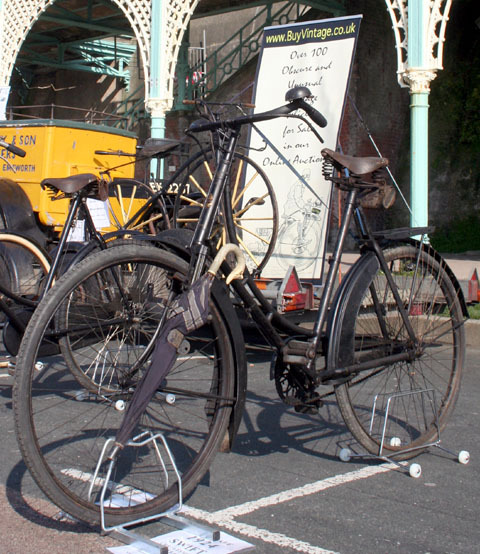 The 1924 Swift was part of my display for the 2009 Pioneer Run, which ends at Madeira Drive, Brighton. 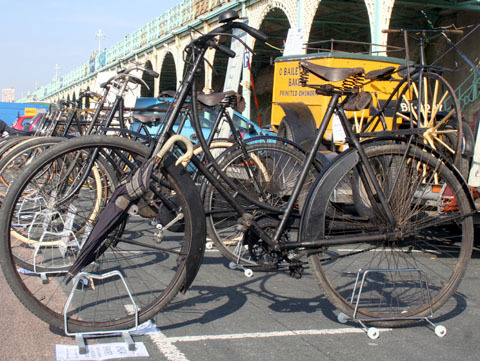 For my display, I selected bicycles whose manufacturers also made cars or motorcycles in the early days of the century. 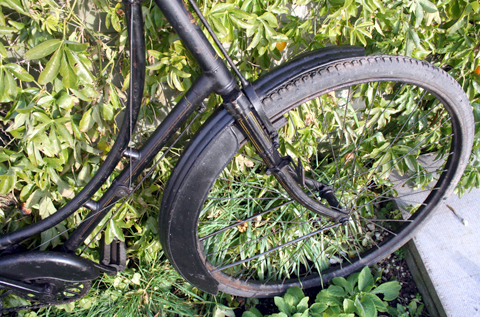 The Bluemel All-Weather mudguards on this bike were an accessory available from the earliest years of the 20th century. 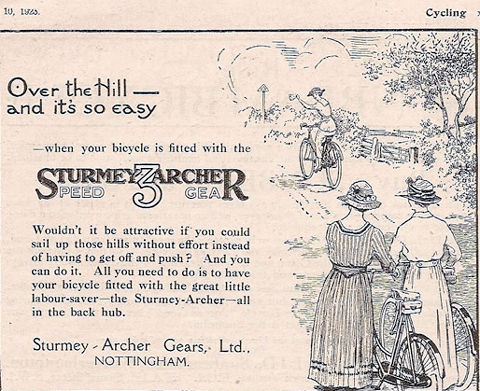 They certainly compliment the style of any bicycle. 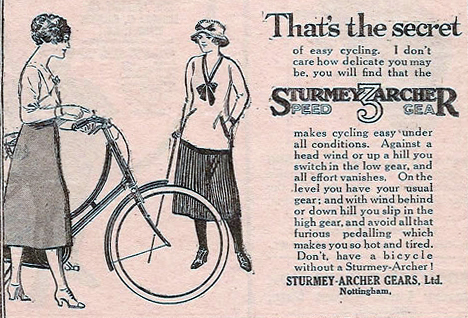 Celluloid handlebars were in fashion at this time, and both Ladies and Gents Swift bicycles featured them. 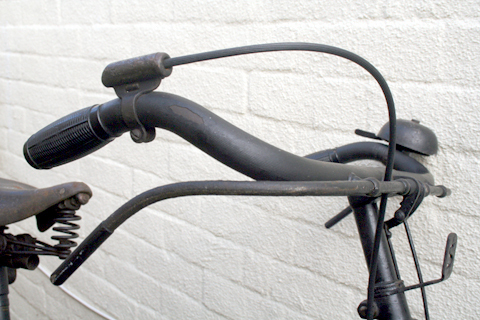 Two other distinctive Swift features are the ‘S’ front lamp bracket (above) and Swift’s particular design of steering-head lock (below). 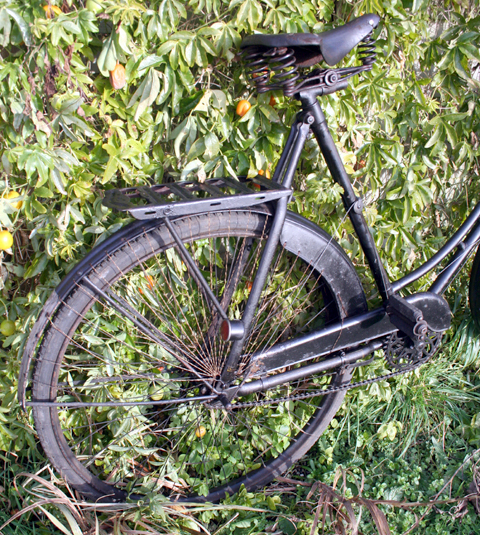 Prewar bicycle carriers for children were far from satisfactory by current safety standards. 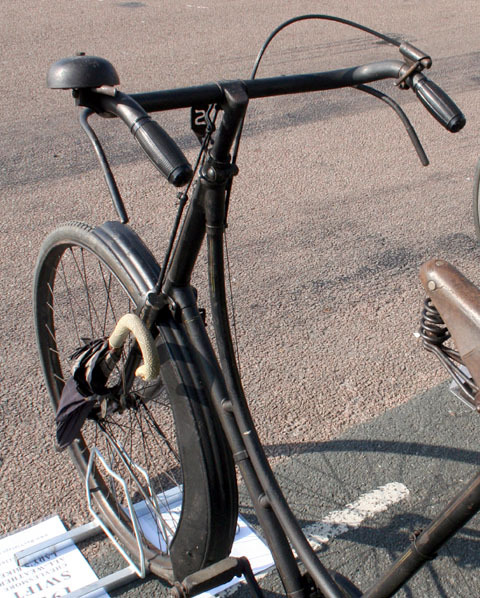 But this particular type is more substantial than most, and its fittings are better too. 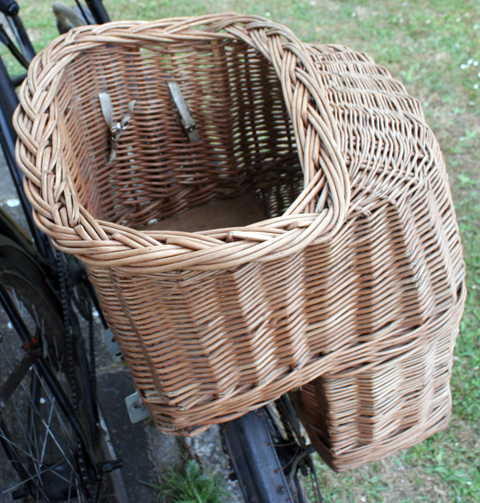 Being wicker, you can also easily add straps for extra security. 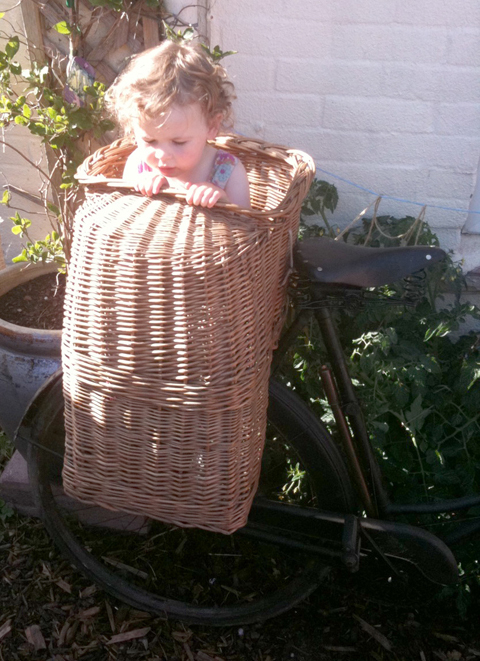 My daughter Delphy is still a little wary as she tries it out for me. 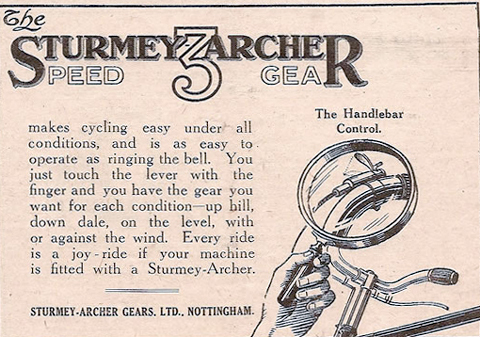 You can see the Type K gear trigger fitted to this Swift in these Sturmey Archer adverts from 1920 to 1923. 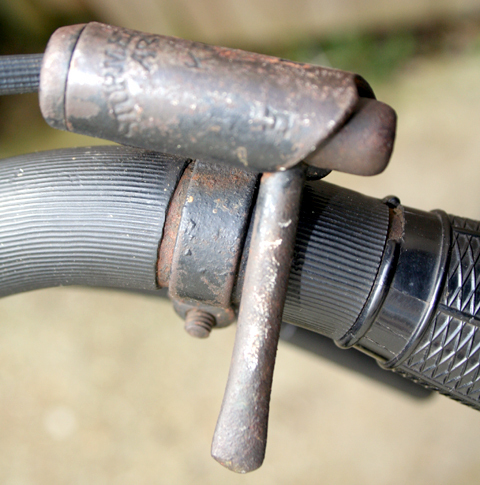 You can see from the close-up above the Swift’s celluloid handlebar cover.